The U.S. chapter of Trout Unlimited is considering legal action if the Food and Drug Administration approves production of a genetically-modified salmon in P.E.I. and Panama for food. AquaBounty is nearing the end of a years-long process to approve the fish for sale. It has a facility in eastern P.E.I. for hatching the fish, which would be shipped to Panama for rearing. 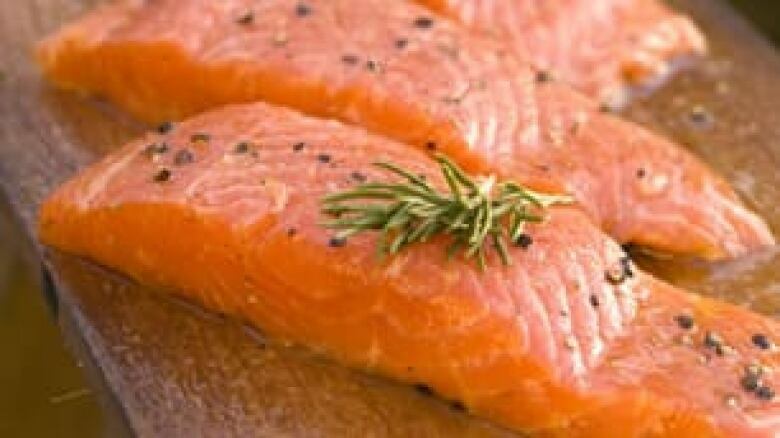 The salmon is genetically-modified to grow at twice the rate of normal fish. Trout Unlimited's U.S. president, Chris Wood, told CBC News Friday his group believes the FDA is not the right group to approve the fish. "We have a deep and abiding concern that the FDA, an agency that to our knowledge doesn't have a single fisheries scientist on it or in it is the inappropriate agency to be determining whether or not there are environmental risks associated with releasing a genetically-modified salmon, or allowing for the production of genetically-modified salmon," said Wood. Trout Unlimited would like to see a more thorough review of the environmental risks before the federal government decides whether to approve it. If that doesn't happen, Wood said it will consider suing under one of the laws designed to make sure the U.S. government doesn't allow projects that pose a risk to the environment. Aqua Bounty said precautions have been taken so that even if the genetically-modified fish escape from the on-land tanks they'll be raised in, they would be unlikely to be able to breed. The FDA ruled in September that the genetically-modified AquaBounty salmon is safe to eat.